If you are a beginning or professional photographer, photojournalist or artist iWatermark+ (the update to iWatermark) works for you to by adding a visible personal text or graphic watermark. Once added to a photo or video this visible watermark displays your creation and ownership. Its like signing your intellectual property. 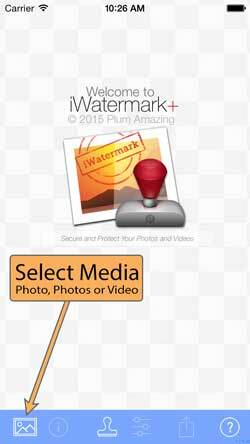 iWatermark+ also has invisible watermarks to protect your photo or video. To see what other pros think checkout the (over 360) 5 star reviews on Google Play Store. 2/28/19 For iPhone 6 and iPad Air users there is a problem launching the app. For everyone else the latest app works fine. For users with those devices there is now a beta app that works it is actually the version from a month ago. If you have an iPhone 6 or iPad Air you can join the beta here. Everyone else, those not using the iPhone 6 and iPad Air, should continue with version 5.0.6 the current release version. We will have a new version with a fix for that issue available in the near future. Thanks for your patience. The latest iClock for Mac is now available from plumamazing.com or iWatermark Pro for Mac or Win direct from our site. 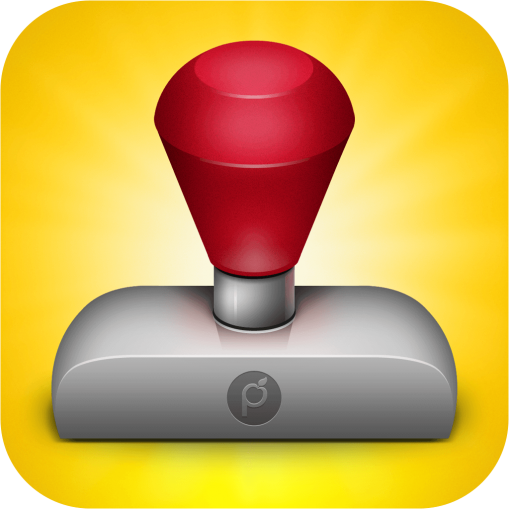 This link will give you 20% off in your cart for any app on our plumamazing.com site. The new Instagram iOS app is out. Update the app then you can watermark photos in iWatermark+ and share directly to Instagram. Very convenient and a good way to accelerate your secure use of social media. Subtle watermarks are best. Remember to add #iWatermark to your post. We want you to know that we REALLY appreciate the 5 star reviews, there are almost 960 now. Thank You! 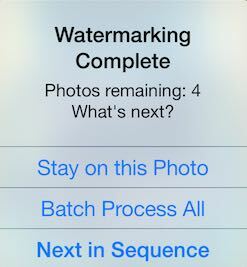 Unlike a lot of apps we are constantly updating iWatermark+. Remember we love hearing your suggestions. If you like the continuing improvements and want it to continue, please submit an App store review and/or let your friends (especially photographers) know about the app. A simple mention by you on Facebook, Twitter, Instagram Pinterest, website, etc. might help someone decide to download it which helps us to keep improving it for you. Big Thanks! NEWS On the list of the 100 best apps of the year iWatermark+ is Number 4. Here’s a great overview/tutorial iWatermark+ Tutorial by Linda Sherman. More reviews on Pinetrest. We want to help all you creative people get your work seen. Follow iWatermark (@Twitter, @Facebook, @Instagram, @Pinterest, etc.) and tag your best artworks #iWatermark to be featured! Problem? Email us. A 1 star review on iTunes when you can’t find a setting does nothing for you or for us. Contact us and we can ask you questions and fix it or explain what you need to do. We love hearing from you so Email (details and screenshots help) if you have a question or problem that’s not covered by this manual. Thanks. 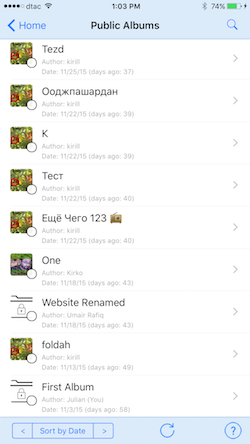 Click here for the log of changes in iOS version. Or here for the log of changes in the Android version. Here is a playlist of tutorial videos to give you a leg up on iWatermark+. This player will play a series of videos which you can stop at anytime. Individual videos are also found in their section below. Touch the top left of the player to see a list of tutorials. They include narration, if you can’t hear the tutorial make sure your volume is up and the silent mode switch is on. Thanks for downloading iWatermark+ the newest and most advanced member of the iWatermark family. iWatermark is the most popular multi-platform tool available on Mac & Windows as iWatermark Pro. 30% off for owners of iWatermark+. iPhone/iPad & Android (as both iWatermark and iWatermark+) . 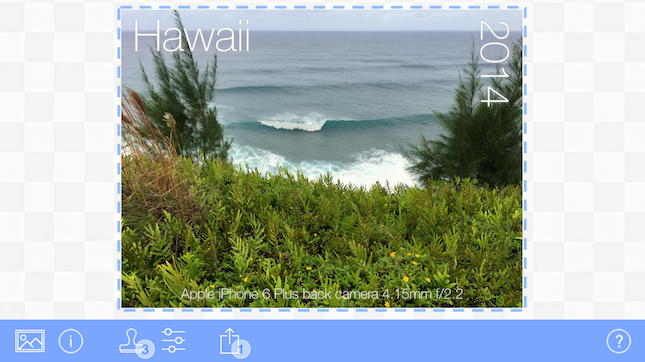 iWatermark lets you add your personal or business watermarks to any photo or video. Once added this watermark displays your creation and ownership of this photograph or artwork. What is iWatermark? iWatermark is software that allows a new kind of watermarking. It uses a variety of visible & invisible digital watermarks to connect the photo with it’s creator. Who is iWatermark for? Every person who takes photos & videos. We’ve been told it is essential for photojournalists, pro photographers, and people who use Instagram, Facebook and other social media sites. Why is it essential? Because it allows photographers to promote their photos to the max while preventing losing control and connection as the photos author. Now when a photo is shared the author/photographer can continue to be known and credited. ✓ Available on all 4 platforms iOS, Mac, Windows and Android. ✓ It is both a regular app and an photo editing extension that can watermark directly within Apple’s Photos and other apps. ✓ Use one or multiple watermarks simultaneously on a photo or photos. ✓ Watermark videos with any of the 7 visible and 1 invisible = 8 total watermark types. ✓ Watermark photos with any of the 9 visible and 2 invisible = 11 total watermark types. ✓ Watermark 1 or multiple photos in a batch. ✓ Live interactive adjusting of effects like tint, shadow, font, size, opacity, rotation, etc. ✓ Live preview of watermark(s) on a photo before processing. ✓ 242 custom and 50 Apple fonts = 292 great fonts built in and ready to use for text watermarks. ✓ Over 5000 professional vector graphics especially for phototographers. ✓ Save all created watermarks to turn on/off, reuse, export and share. ✓ 11 kinds of watermarks. 6 watermarks are unique & exclusive to iWatermark (see below). ✓ iW•Cloud the only cloud backup of all your watermarks. Use them on Mac, Win, Android and iOS. We consider everything you do to customize a photo, to make it your own, a watermark. In the past watermarks were invented and used to ID items like stamps, currency, banknotes, passports and other official documents. Nowadays, in the same way, digital watermarks infuse your identity and style into your photos and videos. The photographer Ansel Adams had a distinctive style that marks his photos, just as the unique painting style of Monetmarks his paintings. Ansel Adams used black and white, clarity, contrast, huge, unpopulated, and majestic landscapes as his signature even though he also signed his work. Like the great photographers and artists you can style your work so that it is not only beautiful and recognizable but also helps protect your creations. This is why we see each of the items below even metadata, stegomark, resize and filters as watermarks because they can imbue a photo with your particular style. Below is a video that explains this further. Photos from cameras are anonymous. When you take a photo and share it, your friends share it, then their friends, then total strangers. Each time it has less and less and eventually no connection to you. To the rest of the world your photo is ‘creator unknown’. Many a great photo has gone viral (become wildly popular) that lacked any clue to the owner’s identity. That means, without any way for others to give acknowledgment, thanks or payment to the owner. The solution to this problem is iWatermark, whose purpose is to infuse your photos with your identity in a variety of ways, visible and invisible. The technologies in iWatermark and the 11 watermark tools help you to sign, personalize, stylize, secure and protect your photos. iWatermark on the surface may seem somewhat similar to graphic apps like PhotoShop but iWatermark takes a significantly different angle. iWatermark is designed to process one or many photos with a variety of watermarking tools, all constructed for a unique purpose, to suffuse each of your photos with your identity as a photographer. – Digitally sign your photos/artwork with iWatermark to claim, secure and maintain your intellectual property and reputation. – Avoid the conflicts and headaches with plagiarists who claim they didn’t know that you created it. – Avoid the costly litigation that can be involved in these cases of misuse of ip. – Avoid intellectual property squabbles. Using iWatermark and one or more of the 11 different watermarks types can help protect photos and get photographers the credit they deserve. Many people try the free one first to try out the app and features. It has an icon with Free on a green banner. It has no ads and lets you use all features but also adds our watermark to every photo that says, ‘Created with iWatermark+ Free’. You are welcome to continue using it or upgrade to the paid app which does not have our additional watermark. This paid version supports the evolution of iWatermark+. Every time someone buys a copy it supports more programming to improve the app which benefits everyone. Yay! The paid app does not add our watermark on your photo only yours. After getting the paid version remember to delete the free version as you no longer need it. 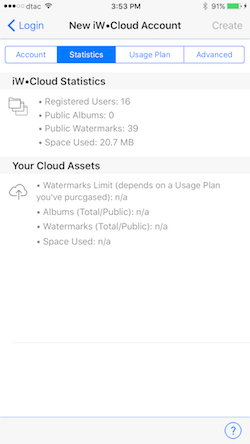 The apps share preferences so any watermarks you created in iWatermark+ Free will be available in iWatermark+ when you purchase it. There are many other versions for Mac, Win and Android you can find on our site. IMPORTANT: iWatermark+ only watermarks a copy of your photos. It never changes the original photo. For safety do not delete your original photos and always remember to back them up. iWatermark+ comes with 2 libraries of additional graphics. 50 bitmap graphics (can be pixelated on high res photos) signatures of famous people, logos, etc. iWatermark+ makes it incredibly easy to create watermarks and soon you’ll want to create your own. Save your watermarks for instant reuse to cover a variety of needs and types of photos. iWatermark is not just an app but also an ‘Extension‘ which can be used within the iOS Photos app as well as other apps. 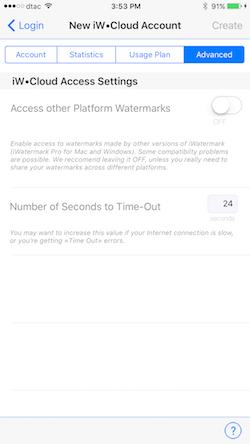 This means you can now quickly have access to the watermarking abilities not just in iWartermark+ but also within other apps, this can be very useful. As an extension used within Apple’s Photo app, iWatermark watermarks but the saving is handled by the Apple Photos app. The Photos app saves all changes to a photo in that photo, so the watermark and other changes are saved as layers. If you want to remove it you hit Edit again and hit Revert to go back to the original photo. 1. Select media (photo, photos or video). 3. Save or share your watermarked photo to the Camera Album (this puts it in the Camera Album and also the iWatermark+ Album), Email, Facebook, Twitter, LinkedIn, Pinetrest, Buffer, or Evernote, etc. At the bottom of the main screen is this navigation bar. – In ‘Select Photos’ to select multiple images: tap and image then go to the last photo and double tap to select all the photos from the first single tapped to the double-tapped one. ‘Select Photo’s and ‘Select Video’ come from the camera album. ‘Paste a Photo’ comes from what you copied previously. ‘Import Files’ opens the Apple ‘Files’ App to allow choosing from cloud services like iCloud, DropBox, OneDrive, Google Drive, etc. Info – View photo info, metadata and StegoMark in a photo. 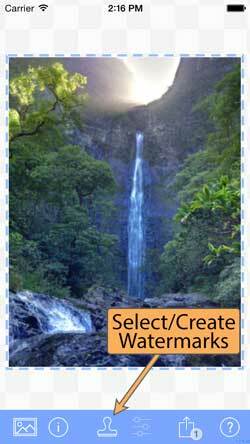 Watermarks – Select, create, delete and organize watermarks. Above the badge 2 indicates the number of watermarks selected for use. Settings – Change watermark settings for last selected watermark. Share – Via email, save to, Facebook, Flickr, etc. A badge here means the number of photos ready to share. Help/About – Leads to this manual, app info and preferences for this app. Open iWatermark+. This what we call the Canvas Page. Where you create and preview your art work. 1. First, touch the ‘Select Media‘ icon at bottom left of the above screenshot to select a photo, photos, video or [sta_anchor id=”selectmedia”]import file (from cloud service)[/sta_anchor]. 2. Touch the ‘Watermarks’ icon at the bottom of the above Canvas Page (above) to see list of watermarks on what we call the Watermarks Page (below). You can also select ‘Create Watermark’ here but we go into that elsewhere in the manual. 3. Next tap on the left side of the watermark ‘Copyright’ (above). At a tap the watermark goes from grey/inactive to blue/active/highlighted/ with a blue checkmark in front to indicate the watermark is now in use. Touch the ‘Done’ button to return to the main screen (below) and now you will see that Copyright watermark on the Canvas Page. 4. Adjust it by touch and gestures (above). Or go to the settings via double click to the watermark or touching the settings icon (above). IMPORTANT: The example above uses 1 watermark but iWatermark+ allows not just 1 but selecting 2, 3, 4… or more watermarks simultaneously. – Touch the watermark and drag to move. When you drag close to a corner it will snap to that corner. – Use pinch and/or zoom to change the size of the watermark. – To rotate the watermark put thumb and forefinger on the watermark and twist. – Double touch a watermark to go direct to the settings for that watermark. 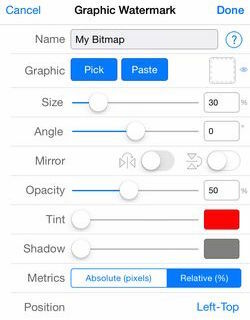 – Magnify a small square area of the canvas with touch and press (also called 3d touch). – Single tap on a watermark or watermarks to select/deselect. – Tap and hold a watermark to select it, deselecting all others (except for “locked” ones), and reveal it on the Canvas Page. – Triple-tap a watermark to “lock”/“unlock” it: “Locked” watermarks don’t get deselected, ever. To deselect one, triple-tap on it first to remove its “locked” state. – “Lock/Unlock” buttons appear when left-swiping a watermark (in addition to “Duplicate” and “Delete” buttons). 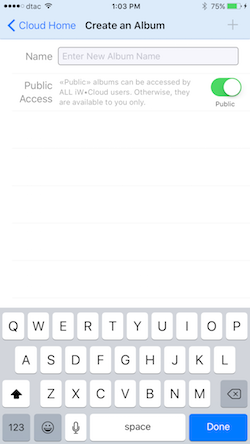 – Right-swipe a watermark to enter its Settings panel. – “Deselect All Watermarks”/“Reselect Watermarks Back” — a quick way to deselect all watermarks. And to select them back in one touch. These actions are listed on the very top of the Watermarks Page, and also on the toolbar. – In ‘Select Photos’ to select multiple images: tap and image then go to the last photo and double tap to select all the photos from the first single tapped to the double-tapped one. Q: How do I duplicate a watermark? 1) Changing the name of any watermark will duplicate it. To test put a 2 after the name, hit done, you now have a new watermark exactly like the old one. 2) On the Watermarks page slide a watermark left to reveal lock, duplicate and delete buttons. Lock – locks the watermark on all the time. Selecting it again does not turn it off. This is for watermarks you want on all the time and don’t want to turn off by accident. Duplicate – takes a watermark you like and clones it. You can then use as a starting point for a new watermark. Delete – deletes that watermark entirely. No getting it back. Notice that landscape orientation (below) removes status (carrier, time, battery) at top, providing more room. The quick video below shows how it’s done. 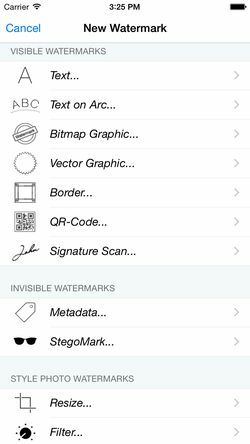 iWatermark has 11 major types of watermarks, text, arc text, bitmap, vector, border, signature, QR, metadata, StegoMark, resize and custom filter. We’ll start with the Text Watermark. Text watermarks are easy to create. Text is sharp at any size and depends on the available fonts. iWatermark+ gives access to 292 beautiful fonts. To start, on the main page, touch the left most icon and select a photo as a background to help create and view your watermark. After you create a watermark then you can use it to watermark photos. 1. Touch the Text… item on this page of all the watermark types. 2. This will lead to the Text Watermark page. Here fill in a name and the text. 3. The settings are grayed out till you hit ‘Done’ just once. That will make the settings below active and then you can adjust scale, opacity, etc. If you hit ‘Done’ twice you will go back to the main screen where you can select the settings icon for that watermark to return. Adjust the settings like in this video. Adjust settings via realtime preview. IMPORTANT: All in the settings are interactive as shown in the video above. That means when you slide the size slider the view switches to the photo so you can drag back and forth to see and choose the exact size you want. Touch slide and hold down moving back and forth till you see the effect you want then let go. This is to allow you to set the size, opacity, etc and immediately see the results of your adjustment on the photo. The settings in the screenshot above are described below. Name: Type a name for the watermark. Text: Type your text content. To have multi-line text hit the ‘New Line’ button seen below at the top right of the keyboard. A new setting called ‘Alignment’ appears. Choose from Natural, Left, Center and Right and it will be aligned like that when viewed on a photo on the main screen. To delete all the text click on the x icon to the right of the text field. Insert Tag is important click here to learn more. 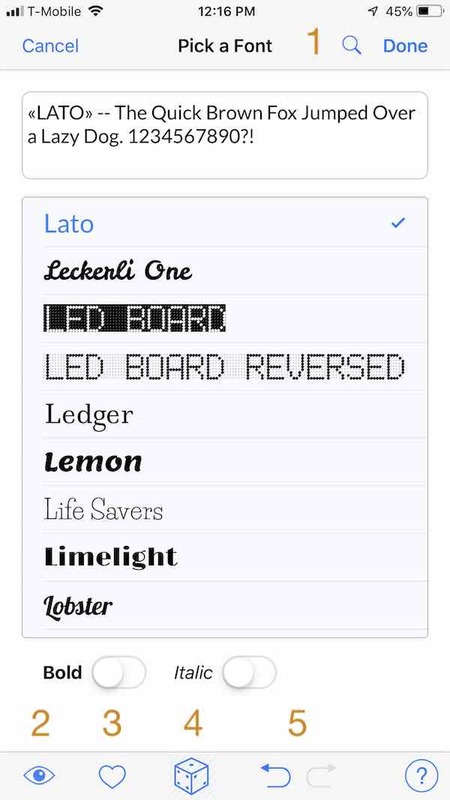 Font: Select one of the many fonts available in iWatermark. Text and the font are displayed in the actual font face, wysiwig (what you see is what you get). Preview the font on your photo by touch and holding down on the little eye at bottom left. Fonts & colors you use all the time can be favorited for quick access. Click on a font you like hit the heart to turn the icon solid blue and it switches to a new sheet and adds the font there. Tap the heart anytime to see your favorites. TIP: Use the search field at the top to search by name (easier then scrolling thru 300 fonts) or for font types like “mono” or ‘”script” and font language types like “Indian”, “Russian”, “Japanese”, “Korean”, “Thai” and “Arabic”. TIP: Touch and hold on the eye icon, at bottom left, to preview the font on your photo as you adjust any setting. 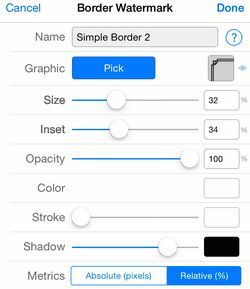 Size – touch and drag the slider back and forth to get just the right size. Pinch and zoom of the watermark on the photo can also be used when you are actually on the main page. 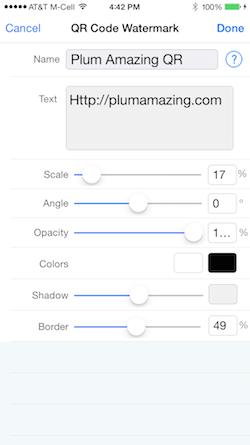 TIP: Typing a size into the field next to the slider can give a size from 0 to 150% . Whereas the slider only allows dragging between 0 to 100%. If using Absolute Positioning (read here) the font size changes to pixels 6-255 pixels. It’s also possible to type in decimals like 75.5 for exact sizes. Angle – drag the slider to rotate the watermark. Or type in the field a whole (e.g. 14) or decimal (e.g. 14.5) number into the field. It is also possible to rotate a watermark from the main page. Put 2 fingers on the watermark and twist to rotate. Opacity – set the opacity/transparency of the watermark. Transparent left and opaque right. 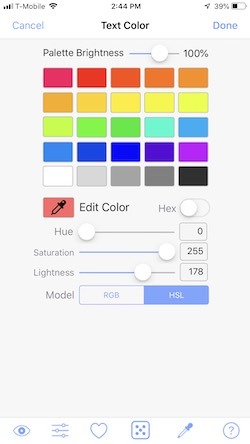 Color – set the color of a watermark easily by tapping a color. 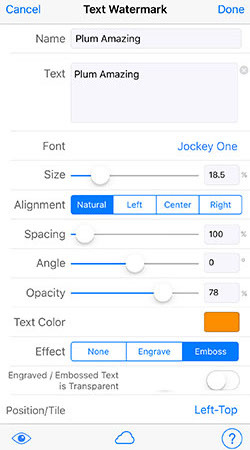 Settigns – Tap edit at top right or the settings icon at the bottom to edit a color. RGB or HSL values as 0..255 integers, or as 00..FF hexadecimals. (below). Favorites – At the bottom tap the heart icon to go to the favorites page. Tap a cell to assign that color to that cell. Eye Dropper – Tap his icon to go to the Canvas Page and use the center of the magnifying glass to select a color on your photo. This is a great way to get a color for your watermark to have it blend in subtly on your photo. Here is a video of some of those details. Engrave and Emboss – effects with optional transparency. Both make for an excellent and subtle watermarks. If transparency is off best results are achieved when text color is white or light colored. When text is dark or black, very little if any difference is seen between engrave, emboss and none. Shadow – set the color and opacity of the shadow of the watermark. 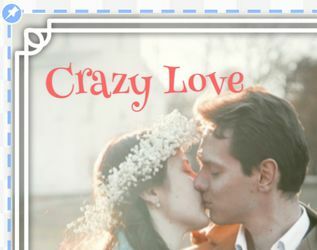 Text Effect – Off, Engrave or Emboss effects. Only available for Text and Arc Text watermarks. Best results are achieved when text color is white or light colored. When text is dark or black, very little if any difference is seen when fx is on or off. Backdrop – select the color and opacity for the square background just around the watermark. Position – If you are a beginning user touch and drag a watermark to change it’s location is more then adequate in most cases but the Position or Tiling setting allow more precision. 1. By dragging on the Canvas Page. 2. By touching via the highlighted text opposite the word ‘Position’. (Left-Bottom, Right-Top, etc. text. See screenshot below) or double touching the pin icon. 3. For even more control over watermark location tap on Nudge at the bottom. which you can then use to nudge the watermark around in small increments. When you move a watermark to a position you are pinning it there. A Pinned watermark is referenced to left, center or right and top, center and bottom. In the screenshot below the watermark is at ‘Left’ and ‘Top’. Auto Switch: This is on by default and the recommended setting. When Auto is on (green) and you drag the watermark around with your finger or use the slider you will feel some ‘stickiness’ when the watermark gets close to the corners. This is the pinned corner and you will see a little pin icon there. It maintains its position by the percentage left, top corner. iWatermark decides what corner it is pinned to The opposite is ‘Manual’. Manual (not green) allows the user to pick the pinned corner. Click on the Left, Center, or Right and Top, Center or Bottom. Example for using ‘Manual’ setting might be where you have a batch of photos which are both low resolution and high resolution. If you want a long piece of text to be in the same top left location on each photo then set the position to top and left and turn off Auto. TIP: The position of a watermark is shown by the blue white pin icons on the preview photo page (see below). Try moving the watermark around with your finger and see the pin icon move to the other corners as you approach them. Double touch the pin to go to the position settings. 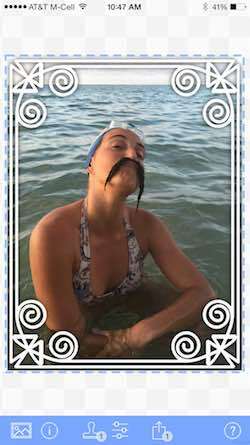 Tiling – is for special cases where you want to put a watermark across a whole photo multiple times making it difficult for people to copy or use your photos by cropping. Turn on by flipping the first switch in Position displayed in the screenshot above. Turn switch to green for tiling. The settings for tiling are pretty obvious. Move the sliders and instantly preview the changes. Size – reducing/enlarging the size displays more/fewer copies of that watermark on a photo. Gap – gap between each copy. Vertical Offset – moves the copies up or down. Angle – changes the angle of all the copies. Opacity – changes the transparency of the watermark of all copies. Experiment with tiling using preview. Typically tiling is done with 1 watermark is used to add extra protection to a photo. But, for fun you can turn on 2 or more tiled watermarks simultaneously for a special effect. The tiling above is using 1 Text Watermark but it is also possible to use Text Arcs, Graphics and other watermark types. They can be more subtle then the above but we wanted to make the tiling obvious even at a small size for the manual. Metrics – This final setting is only visible if turned on in preferences. We recommend you DON”t turn it on because 99.99% of people do not need it. The choice can be very confusing. If you turned it on and understand totally the difference between Relative (%) and Absolute (pixels) then here is more info. Relative (%) – the default setting, simplest to understand and use. Does exactly what most people want. In relative mode position is set by % from edges. No matter size of photo you will get the visually same results. Watermark size/position are affected by photo dimensions. On the photo page you can drag a watermark to any position on the main screen this setting allows you to set the relative position of the watermark (by %) irrespective of the size and orientation of each photo in a batch. Example: in a batch of 2 photos, one low and the other high resolution, a border watermark set to be approx 10 pixels wide on one low resolution photo might when measured be 20 pixels wide on the high resolution photo. In the past we only had a “Relative” mode, but some users requested an “Absolute” one. The first 3 are pretty obvious tap those to insert those characters (copyright, registered trademark and trademark symbols). Insert Tag – Tags are incredibly useful! 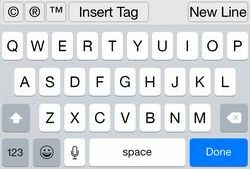 Use ‘Insert Tag’ at the top of the keyboard (seen above) to put Metadata (like camera model, creation date, sequential numbering, file name, location, etc.) from that photo or video into a visible watermark on that photo or video. There are some example watermarks that come with the app but you can use these to create your own customized watermark to display a variety of info on your photos that will be different depending on the metadata in that photo. Each tag has a format, it always starts with a % so that the program can identify that it is a tag. Under the tag is the info from the metadata in the selected photo. If no photo is selected (the photo that shows on the Canvas page) the example info is generic. Each variable that stores a particular piece of metadata from a photo. Here you can touch one of the metadata variables (tags) to insert that photo info as a text watermark. That text watermark can be formatted and other text added to help describe and explain the tag. To see this in action, touch one of the above tags and then you have a text watermark like this. In the above example the %CAM1 is a variable that holds the camera model info that is pulled out of each photo. ‘Camera:’ is just a description/label for the info that will follow it. In a batch of photos from different cameras that watermark might print Camera: Nikon on the first, Camera: Canon on the second and Camera: iPhone 6 Plus on the 3rd. See the fainter watermark at the bottom of this photo which shows the Camera used and other info. It is amazing what adding 3 watermarks and a tag can do for a photo. Then each photo would have a watermark saying something like Number 17 of 300. We are constantly adding to the tags. To learn more about tags go to Text Watermark click Insert Tag and look thru the info on each tag. TIP: It’s not possible to have different fonts and font sizes within one text watermark so if you want to do that make two separate text watermarks. An Arc Text Watermark produces a watermark of text on a curved path. Below are all it’s settings, more settings then any other watermark. The best way to understand these is to experiment and test them out. It has more settings then just a ‘Text’ watermark. Those additional settings are described below. See explanation of the first text settings Name, Text and Size in Text watermark above. Spacing – adjusting the space between letters. Similar to kerning but kerning adjusts the space between 2 particular letters whereas ‘Spacing’ adds or subtracts space between all letters equally. Radius – adjust the radius size in % up to the maximum horizontal or vertical length whichever is smaller. 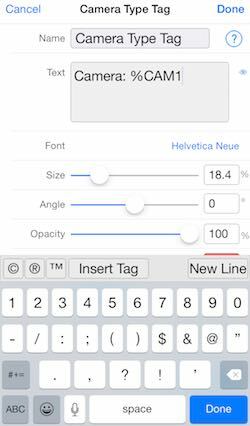 Size to Fit – automatically resizes the circle based on word length and font size. A to ∀ – flip the text. Angle – drag the slider to rotate the text around the ring. Or type in the field a whole (e.g. 14) or decimal (e.g. 14.5) number into the field. Inner Circle – controls the color and opacity of the inside of the circle. Graphic Watermarks are good for logos, art and signatures. Use your logo or any graphic but they need to be a special graphic format called .png with transparent background. The sample signatures, symbols and other graphics we include have transparent backgrounds and are .png files. That means that even though the graphic is square only the signature itself shows and that which is not the signature is transparent allowing the background photo to show through. The file format to do this is called .png with transparency and it allows the background of the watermark to be transparent (a .jpg does not allow this transparency, .png must be used). For info on how to import a png go here. For info on how to create a png file go here. Q: Why use .png with transparency for a logo watermark on a photo? A: Both graphics of the stamp above are square. Our stamp logo, is a PNG with transparency. This PNG has areas that are transparent so only the stamp is seen surrounded by the blue background. It is the same graphic but either a jpg or a .png without transparency so the white box shows around the second stamp. Check out the FAQ (below) or Google ‘png’ and ‘transparency’ to learn more about making .png files with transparency. 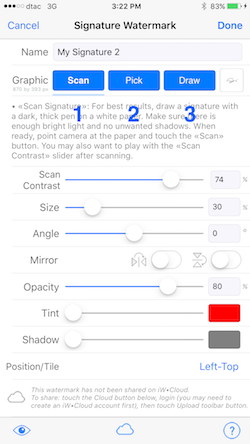 The ‘Signature Scanner‘ produces a .png file with transparency for you if you have a dark subject (like a signature) and a clean, bright white background. Creating a Graphic/Logo Watermark is just like creating a Text Watermark. The only 2 differences is we import some graphics and some of the settings. ‘Paste’ which allows you to paste items you have copied. Go to the Settings Page for this watermark and change to your taste. You can use any graphic or photo but 99% of the time a .png graphic with transparency will be what you want for a watermark. All the example graphics in iWatermark are .png’s with transparency. Q: How do I create a graphic (transparent .png format) to be a watermark? Q: How do I then import my logo graphic into iWatermark+? A: Go here for more detail. Q: Why do I get a white box around my logo? Pick – allows selecting a graphic from the Camera Album on your device. A .png formatted image is best because it has a transparent area. Pick shows all the items in your camera album. How to import your logo or graphic to the camera album. Paste – a .png image if you have it in the clipboard. You can copy in another app (like from Email or Photos) and paste here. Size – 100% means the width or height whichever is the minimum of those two. TIP – Dragging goes from 1 to 100% as described above but you can type 1 to 300. It’s also possible to type in decimals like 105.5 for exact sizes. Mirror – mirror horizontally and/or mirror vertically. Touch and hold to see a preview. Tint – change the color of content of a graphic, like your logo, from whatever color it is to whatever color you want. This can be extremely handy to making a graphic match the colors in a photo. Opacity and Shadow work as described above in Text Watermark. Once you hit ‘Done’ all the other controls are available and explained above in Create Text Watermark. A Vector Watermark is based on a mathematical representation of an image. A vector uses points, lines, curves and other graphic primatives in a graphic. This means that unlike a bitmap graphic which can look blocky at different sizes a vector looks perfect at all sizes. iWatermark+ has a huge built-in library of SVG vectors. SVG is a particular format for vectors. 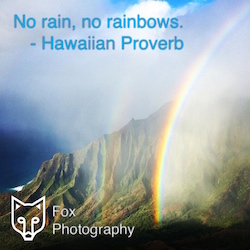 The above is an example of using simultaneously an SVG vector graphic (the fox), metadata (invisible) and 2 text watermarks (No rain…Fox Photography). IMPORTANT: Subtle watermarks are usually best. But in this tiny image it was essential to use high contrast watermarks to make it visible for small sized screenshots in this manual. In a large version of this photo if the Fox and Logo instead of white was one of the colors in the photo, like green or brown, then it would blend into the photo and yet still be discernible. The decision to watermark with strong or subtle contrast all depends on your intent. Inset – which insets the border at distances you set. 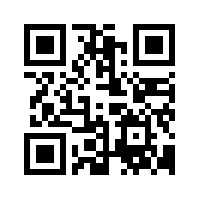 From the ‘New Watermark’ page select ‘QR-Code…’. Give it a name and adjust to your taste. Keep in mind if you reduce the size and opacity it may get difficult for the scanner to read all the info. Experiment and read more about QR’s on the web for more info. A signature (from Latin: signare, “to sign”) is a handwritten (and often stylized) depiction of someone’s name that a person writes on documents as a proof of identity and intent. A signature is symbolic of the works creator. Many famous artists (Claude Monet, Albrecht Durer, Henri de Toulouse-Lautrec, Salvador Dalí, Johannes Vermeer, Wassily Kandinsky, Joan Miró, Henri Matisse, Henri Rousseau, Maxfield Parrish and many others) signed their work. Don’t let anyone tell you otherwise, a signature can make a classic watermark. A ‘Signature Watermark’ can be create by the ‘Signature Scan’ or by graphics (a transparent .png file) that you input. Graphics with high contrast like a signature where the ink from the pen is black or at least dark and a background of white works well. The 3 ways to input your signature and use it as a watermark. Take a sheet of unwrinkled bright white paper, a dark ink pen or sharpie and write your signature in the center. Have this sheet evenly lit with no shadows. From the ‘New Watermark’ page click ‘Signature Scan’ to see this page. Click the ‘Scan Signature’ button, it will take you to the camera where you can take a scan/photo of your signature. This may take a few tries to get the hang of it. Scan Contrast – Be a Jedi master adjust the forces of light and dark in the universe. This is the most important setting for adjusting to get just your signature and removing shadows or wrinkles on the paper. The white will be removed and only the dark ink bits will remain in the .png file it creates of your signature. Get your signature from the Photos Album. You may have a scan made on another scanner or some other means that you can import to your Photos Album and then info iWatermark+. Click the ‘Draw’ button above to handwrite in your signature using your finger. Press and hold the “checkered signature canvas” for a fraction of a second, until the canvas shows a blue outline around it, only then start signing your signature with your finger or with an Apple’s pencil. All the other settings are explained in ‘Text Watermark’ above. Now you can easily sign smartphone photos and other art images before putting sharing them on facebook, twitter and instagram, etc. Putting a subtle signature on a photo is one good way to alert future viewers that you created it and thus maintain a connection to your photo especially if it goes viral. IMPORTANT: Limit of 1 Metadata watemark per photo. There’s more than meets the eye inside a digital photo image file. Photo files can store not only image data but also information about the images and that is called ‘Metadata’. Photo files can include technical, descriptive and administrative classes of metadata of several types with names like EXIF, TIFF, IPTC, etc. You can google for more info. The important thing is that iWatermark+ supports metadata as a watermark type. 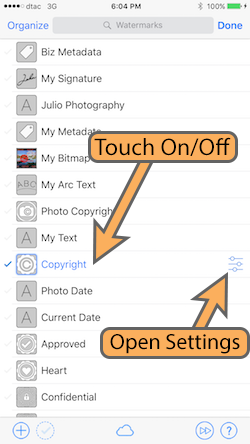 This means you can create a watermark that adds your name, title, copyright, etc inside a photo file as metadata. It is another layer of security and a way to validate that a photo is yours. 1. Add invisible metadata to a photo with a watermark. 2. Add a visible watermark which displays your choice of metadata imprinted on a photo. 3. View the metadata of a photo. Here you can add the creator of the photo and who owns the copyright. Enter keywords to help locate that photo in the future if you use Lightroom or Picasa. The comments field is for whatever you wish to add. IMPORTANT: Only 1 StegoMark allowed per photo is possible. 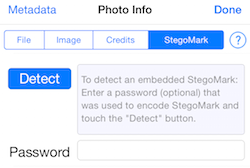 StegoMark because it combines Steganography, often called Stego for short and Mark from the word Watermark. StegoMarks use a special algorithm designed at Plum Amazing. This specialized encoding makes that data almost impossible to decipher without iWatermark. If there is no password then any copy of iWatermark can reveal the hidden text. If there is a password then only a person with the password and iWatermark can reveal the hidden text. In ‘Hidden Message’ put the text you want to embed in the image data. Using no password anyone with iWatermark+ can read the message but no one else. Enter a password for more privacy which means only someone with the password and iWatermark+ can read that text message. To read a StegoMark first open the exported StegoMark watermarked photo from the ‘Open Photo’ button in iWatermark+. Then go to the i with a circle around it icon in the nav bar. Tap on that to see the info on this photo, click the ‘StegoMark’ tab as seen highlighted below. Enter the password if you have one and hit the detect button to see the hidden message appear in the box to it’s right. IMPORTANT: Only 1 StegoMark per photo. 25 characters or less (recommended) in a StegoMark allows it be most resilient when resaving/recompressing a watermarked .JPG photo. Up to 80 can be used but it will impact the resilience of the message. Remember you can use a URL shortener to make a URL smaller for embedding. IMPORTANT: When a Resize watermark is active, the “dashed outline” around a photo is displayed in green (not blue as usual) to remind you Resize is in operation. Also only 1 resize watermark allowed at a time. If you select a new one the old one is turned off. We consider Resize a watermark because everything you do to customize a photo makes it more your own. Your artistic choices infuse the photo with your identity. Instagram photos are not the first to be square but Instagram has, very effectively, made square photos and videos their style. It may be, in the future, that other sizes and shapes will be made famous by other artists. Resize as a watermark allows Instagrammers to instantly checkmark and output the ‘Instagram’ size to Instagram and other social networks. That is why many feel that iWatermark+ is an essential app for Instagram. Below is a photo which is altered in a series of screenshots, with each screenshot showing the resize settings that for that photo. We combined the Aspect Fit and Aspect Fill previously separate items in the interface to one item called zoom. All the controls now including zoom allow you to use the live preview to get a ‘feel’ for what you want to see for output. Notice when dragging that the Zoom control locks to and displays Aspect Fit at 0% Zoom and Aspect Fill at 100% Zoom. This was done to simplify. Another way to watermark a is to give the whole photo a style. Customized Filters leads to MANY filters with MANY options. Unfortunately we can’t explain them all here. We recommend experimenting (playing around) with one filter like ‘Pixelate’ to get a feeling for how they work. Once you have a filter with particular settings that you like save it as a watermark with a descriptive name so you can find and use it in the future. You might name filters for the artists that inspire them. A ‘Van Gogh’ filter might make the colors more vibrant and add a swirl. A ‘Ansel Adams’ filter might make a photo black and white, increase the contrast and add sharpness. Apt names will help you get back to the combinations of settings you find and save. The filters in iWatermark are based on Core Image a technology created by Apple. This link has both a technical description, details of the setting and photos showing the changes they can produce. Click here for the definitive reference. At the bottom of the main screen is this navigation bar. Each of the icons on the navbar takes you to a page that oversees one component of watermarking. The badge 2 on the stamp icon shows the number of watermarks presently selected. The share icon will also show a badge of the number of photos ready to be shared. When you touch the ‘Select Media’ icon this dialog for importing a photo, photos, video, pasting photo or importing files (cloud) is shown below. Here is where you can choose to open a photo, a batch of photos, video, take a photo, paste a photo or import a file. ‘Select Photo’s and ‘Select Video’ come from the camera album. ‘Paste a Photo’ comes from what you copied previously. ‘Import File’ (on iOS) opens the Apple ‘Files’ App to allow choosing from cloud services like iCloud, DropBox, OneDrive, Google Drive, etc. You need to have those individual files on your device to download from those services. TIP: – In ‘Select Photos’ to select multiple images: tap and image then go to the last photo and double tap to select all the photos from the first single tapped to the double-tapped one. TIP – Create new folder: By default iWatermark+ creates its own folder «iWatermark+». It’s name which can be changed in Preferences (we recommend leaving it as is). With a photo selected touch the , 2nd icon from the left in the nav bar, to view photo info. Here you will see the tabs for File, Image, Credits, StegoMark and a button for Metadata. File – name, created, size, description and keywords from IPTC data if available. GPS data if present resolves into a map. Image – shows EXIF info from the camera. Credits – which contains user added data if ebedded there by PhotoShop, Lightroom or iWatermark. StegoMark – to read embedded StegoMark. First open the photo with the StegoMark. If you or someone else has used a StegoMark on a photo then to read the message it contains go to this panel and enter the password or no password (if it was created without a password) to reveal the message text. No password means any iWatermark+ user can decipher the message. Once you enter the password if there is one click the ‘Detect’ button to reveal the text message. 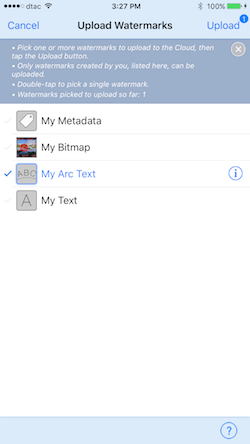 Metadata – button at top left for EXIF, IPTC, etc. Technical information about an image (EXIF) is created by the camera. Content information (IPTC/XMP) is created and added by you, the photographer. EXIF, IPTC, TIFF, XMP are all different formats for saving info into photos. They have evolved over time. To learn more you can use your browsers to find more info. Videos also have info. Once a video is on the main screen click the icon to get info about a video. The ‘Video’ tab shows technical info on that video. If a metadata watermark is created (below) and it is used to watermark the video with that info. This page lists all the example and custom watermarks you create. Things you can do from the Watermarks page. – Hit the + icon at the bottom or at the top tap ‘Create new watermark’. – Turn on/check/highlight blue or off/uncheck/grey a watermark by a touch on the left side. – Select only one watermark by touching the name which will select and turn off all other selected watermarks. – Tap the settings icon of a selected watermark to go to it’s settings. – Hit the + icon or the ‘Create New Watermark’ to create a new watermark. – Tap and slide a watermark to the left to display the lock, duplicate and delete and buttons. – Tap ‘Organize’ at top left then drag this icon on the right up or down to rearrange the order. Or delete watermarks by touching the red ball on the left side. – Tap the magnifying glass to search watermarks by name. – Tap the cloud icon to go to iW•Cloud. – Tap the next icon to move quickly to the next highlighted watermark. a. Go to these Help pages. b. Go the ‘About’ page. c. Touch ‘Settings’ to go to the ‘Settings’ page which allows changing parameters. Change watermark settings for last selected watermark. Touch setting icon on the main page to go to the settings page for the presently selected watermark. You can also double tap a watermark on the main page to go to settings for that watermark too. IMPORTANT: Apple allows multiple items to be shared to the Camera Album but only 1 item at a time to a Sharing extenion. Share allows exporting your watermarked photo(s) and video thru sharing extensions via email, save to camera album, airdrop, print, copy, Instagram, Facebook, Twitter, etc. Also if you have their app installed on your device share to GoogleDrive, Dropbox, Tumblr, Pinterest, Evernote, Buffer, LinkedIn etc. 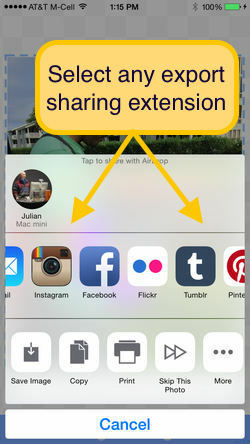 using iOS 8 sharing extension feature. Sharing extensions are put into apps and allows sharing files to that service. For example download Pineterest to your phone and you will now find that you can share from the iWatermark+ or Photos app directly to your Pinetrest account. Same for Tumblr, Evernote and other services that have their made their own app with built in sharing extension. In the screenshot above notice that there are a number of 3rd party sharing options, Instagram, Facebook, Tumblr, Pinterest, Evernote, Hootsuite, Buffer and a growing number of sharing apps support this exchange of info. Scroll right to see more. So, the sharing extensions available depend on what apps you have installed. IMPORTANT: Missing export extension? If you have an export extension like Instagram, Tumblr, Evernote, Buffer, etc and you don’t see it in the list then scroll all the way to the right and hit the ‘More…’ icon there you can turn on the ones you use, turn off the ones you don’t and rearrange the list. Instagram – download the Instagram app and iWatermark+ will show it in the above sharing/export area. Take a square photo in Apple’s camera app. Watermark in iWatermark+ then select Instagram in the sharing area (above) and it will take the watermarked photo straight into Instagram where you can apply filters and upload to Instagram. iWatermark+ is the simplest way to watermark a photo destined for Instagram. Facebook sharing is built into iOS. For Flickr, Twitter, Evernote, Tumblr, Buffer download those apps to have them show up for use in the sharing area. Whereas the previous ‘Photo Editing Extension’ allows apps that edit photos to watermark photos using iWatermark+. 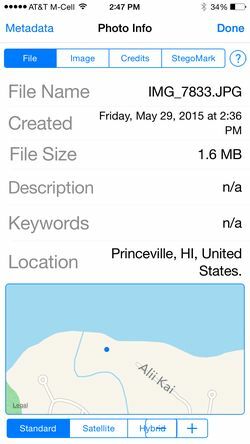 About – company, programmers, version info, send to friend and rate this app. Support – how to contact us with suggestions, bugs and questions not already answered in this manual. Preferences – These are best left as they are unless you understand them completely. That means reading the area below. If you want to change them back to the original settings then hit the Defaults button at top left. 1. Retina Preview Quality – iWatermark+ uses lower resolution substitute images for display for greater speed. Turning this setting on will give crisper images on screen that support it but takes more memory. Neither setting, on or off, alters export quality which is always highest quality. 3. Compression vs Quality setting – Higher number will export higher quality and larger size. Lower number exports lower quality and smaller file size. The default number gives the best of both. iWatermark+ uses the same tools/api for .jpg compression as Photoshop and other apps. If you decide to change this make sure to understand jpg compression, quality vs size and the tradeoffs involved by researching online. 4. Shrinkr – this our proprietary code for shrinking photos while maintaining highest quality visually. It works well but it is quite slow, maybe twice as slow. 5. Exported File Date – this sets the file date on exported file by default to the same as the original file. This maintains the sort order. 6. Export Camera Album Name – set the name of the folder/album that iWatermark+ exports to in the Camera Album. Also seen in Apple’s Photos app. 7. Exported Video Format – set the exported video format either, MOV, MP4 or M4V. 8. Checkers Brightness – set the brightness of the background checkers pattern on the Canvas Page. 9. Magnifying Glass Zoom Level – set the zoom level for the magnifying glass on the Canvas Page. 10. Signature Scan Contrast – this changes the default median for what pixel color is regarded as black or white for newly created Signature watermarks.To reset defaults touch the button at top left titled ‘Defaults’. 11. Play Feedback Sounds – play sounds in response to events. 12. Enable Watermark Absolute Metrics – IMPORTANT: read if you value your sanity. In the earlier version of iWatermark+ in a watermarks settings you could choose between Relative and Absolute metrics for watermark position. Relative determines watermark location on a photo via % of horizontal or vertical. Relative is useful to keep a watermark in the same visible position in batches of photos. Absolute is measured by pixels. A few people wanted Absolute so we included it in previous versions but some people used Absolute Positioning without understanding the implications and got results that confused them. Sadly, they ended up in metal asylums. Since 99.9% of people ONLY need Relative positioning we have now hidden the ability to turn on both Relative and Absolute Positioning here. If you understand and you need both then this setting is for you 🙂 But, please understand it completely and absolutely (pun) since we don’t want you to come to us wondering why iWatermark+ are not where you think they should be. If it ain’t broke don’t fix it. To batch process choose Select Photos, select 2 or more photos, select a watermark(s) and export to the Camera Roll. After the first photo is finished you will get this dialog. TIP: In ‘Select Photos’ to select multiple images: tap and image then go to the last photo and double tap to select all the photos from the first single tapped to the double-tapped one. Selecting “Batch Process All” allows iWatermark+ to take over, watermark, and export all the photos without user intervention. IMPORTANT: Due to Apple API limitations, batch processing, without intervention, is only possible to Apple’s Camera Roll. Exporting multiple photos to Facebook, Twitter, Dropbox, etc. can only be done sequentially, one by one. In iOS 8 a new feature called ‘Extensions’ was added. 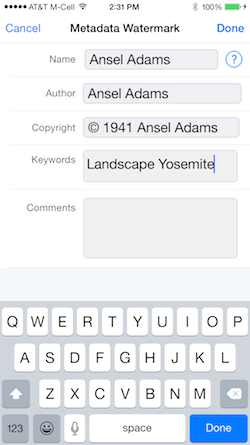 Extensions offers a whole new level of application communication in iOS. iWatermark is a standalone app and it can watermark a photo from within another app as what Apple calls a ‘Photo Editing Extension’. For example you can go into Apple’s Photos app, select a photo, hit the ‘Edit’ button at top right, a dialog may appear saying ‘This photo is not editable. Do you want to duplicate it?’ Touch ‘Duplicate and Edit’. On the bottom of this new Edit Photo page is the navbar below. Once you have moved iWatermark all the way to the left then tap it’s icon (stamp icon). It will open and display a page with the selected photo and the last selected watermark in iWatermark. Touch ‘Done’ at top right to watermark. ° To use the extension iWatermark can be open or closed it doesn’t matter. ° The extension has limited abilities compared to working in the full iWatermark+ app. 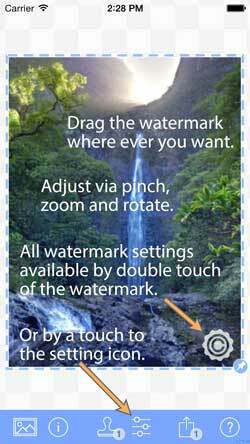 ° Whatever watermark or watermarks last selected in iWatermark is what will be seen and used. ° To change the watermark used by the extension go to iWatermark and select watermark(s). ° Pinch/zoom, rotation, change location of watermark can all be used. ° In the extension panel seen above you can rearrange by dragging the icons into new positions based on usage. Also the last icon to the right in that list is called ‘More’ it has an icon of 3 dots, click that icon to see a new page that shows all the extensions available. Here you can rearrange the extensions to your priorities and turn off ones you don’t use. TIP: As an app iWatermark duplicates the original photo, watermarks the duplicate and saves it in the Camera Album and conveniently in the iWatermark Album. iWatermark never changes the original. iWatermark+ also acts as an Action Extension that means it acts like a Photo Editing Extension (see above) but the only difference s that instead of working in Apple Photos it works in other apps like Apple Mail and photo editing apps by other developers. Also it does not keep watermarked photos in the camera album but only in the iWatermark+ Album. iW•Cloud is the one and only watermark cloud service. 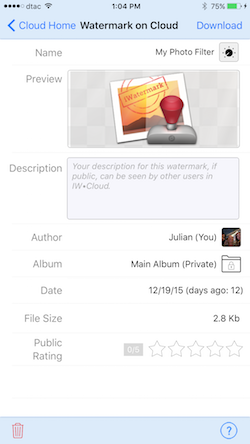 iW•Cloud is for backup and sharing of watermarks created with iWatermark. Why was iW•Cloud created? 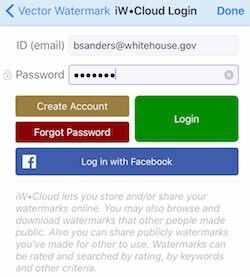 Because iWatermark+ users are creating more and more useful custom watermarks that they want to use on other iPhones and iPads they own and also to share with their family, company and/or colleagues. In addition to private watermarks iW•Cloud allows for public/shared watermarks too. Your watermarks are protected even if you delete the app or change to a new iOS device or have multiple iOS devices. Each user is gifted space to store 3 watermarks in the cloud. Additional space for more watermarks is available via iW•Cloud subscriptions for 100 or 5000 watermarks. The subscriptions help support the cost of Amazon Web Services (AWS) services we use each month. 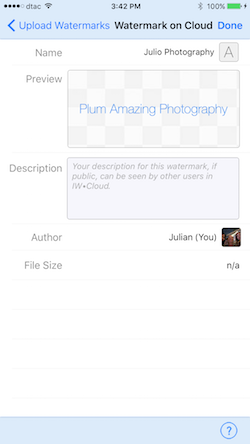 To begin, locate the cloud icon at the bottom of the Watermark List Page (see below) in the center of the navigation area. Click that cloud button to enter the iW•Cloud area to start. Once you click the cloud (above) you will see the iW•Cloud Login Page (below). Tap ‘Create Account’ or ‘Log in with Facebook”. Once you create an account you will see this Account Page (below). The first time you hit the Create Account button the Account Page won’t have any info. 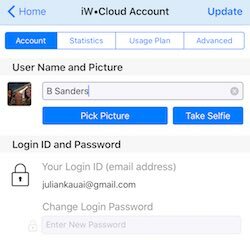 Add your name, a password twice and pick a picture or take a picture of yourself then hit the Create button at top right and you will be logged in and see the iW•Cloud Home page (below). 1. a) Account Settings, b) Statistics, c) Usage Plan, d) Advanced. 1a. Account – the place to change your name, your picture, login and password. 1b. Statistics – the place to check out how many watermarks of various types you have in iW•Cloud. 1d. Advanced – this has a couple settings most people won’t need to change. Here you can turn on/off access to watermarks made on other platforms like Mac, Win, and Android. The other setting allows setting the timeout. This is the time that the app will wait for a response for iW•Cloud. With a very slow internet connection it might help to increase the number. – selecting this from iW•Home takes you to this search page which lets you set the parameters for a search of all publicly available watermarks. This is how you can find useful watermarks made by others that you can download free. – assets are watermarks you have uploaded. Below in the second half of the iW•Cloud Home page you can see the Assets available. IMPORTANT: Assets can be reside loosely in the Asset area or in Albums that you create. All loose (in the root) watermarks are private, they cannot be made public. 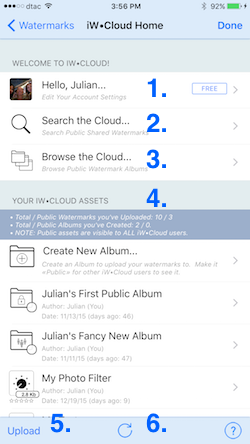 Watermarks in Albums you create can be either private by default or set to be public and therefore visible to other iW•Cloud users using Search or Browse. Create Album – just gives you a album (folder) to name and which can hold a group of watermarks that you want to keep private or make public. It is not essential to make any Albums, it is still possible to upload your watermarks, they will be in the root and not in any album. Albums are Private (by default) or Public by changing the setting (see below). If you upload watermarks and have not created any Albums those watermarks will be at the root or loose at the same level as Albums. – if you have created watermarks of your own (this does not include sample watermarks) then when you hit Upload it will display those (like in the screenshot below). Select watermarks, you’ve created, that you want on iW•Cloud and hit the Upload button at top right. Above a watermark is selected and highlighted in blue to it’s right is an i icon. Clicking the i reveals the upload info page for the watermark (below). Here you will see a preview of the watermark, description that you can add, who the author is and size (see below). – the Refresh button reloads the directory (albums and watermarks) from iW•Cloud. Typically you should not have to press this but if something is out of order or missing then hit the Synch button. It is non-destructive and can’t hurt anything. The button is 6 in the bottom nav (below). If you select a watermark like My Photo Filter (above on iW•Cloud Page) that is loose or in an Album you will see a preview of the watermark, description that you can add, who the author is, whether it is private or public, date uploaded, size and star rating (see below). Star Rating – how the public rates a watermark. You can cancel an iWCloud subscription yourself at any time by following these steps. If you have questions not covered in this addendum to the manual write to julian@plumamamazing.com. Suggestions also welcome. To upgrade from the free to paid version of iWatermark+ click the button on the main page. This will take you to the iTunes App store and iWatermark+. 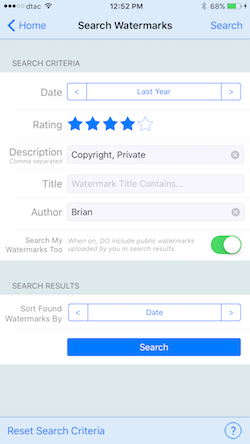 Or search for iWatermark+ in the iTunes app store. Thanks for upgrading! There is an amazing amount of time and energy that has gone into creating this highly sophisticated app. By purchasing, you and your friends are directly supporting the continuing evolution of this app. Thanks from the crew at Plum Amazing! Q: What is the difference between iWatermark+ Free and iWatermark+ both for iPhone/iPad? A: They are exactly the same except that iWatermark+ Free puts a small watermark that says ‘iWatermark+ Free’ at the top of every exported watermarked photo. Many will find this meets their watermarking needs or at least allows testing the app fully. Otherwise upgrade to the regular version which eliminates that watermark. In the Free version a button to upgrade to the regular version is on the main page. Upgrading supports the evolution of iWatermark+, a small price for such a sophisticated program. Q: What is the difference between iWatermark+ for the iPhone/iPad and Android and the desktop versions for Mac/Win? A: Desktop computers have faster processors and more memory, so they can handle photos that are much higher resolution. The desktop versions are easier to use on large batches of photos. The desktop version is another link in the chain of a photographers workflow. The iPhone/iPad version are designed to allow you to use touch to change the various parameters. Both are designed to fit their hardware. For more info tap here iWatermark for Mac and iWatermark for Win. With this link you get 30% off on either of those or you can get any of our Mac software like iClock (highly recommended productivity replacement for the Apple menubar clock). This is a link that will put a 30% off coupon in your cart. Contact us if you have any question. Our site is Plum Amazing. Q: Is there a version of iWatermark+ for Android? Q: How do I add my custom fonts on Android? Q: Why did iWatermark+ open in a different language? A: This is an Android OS question and covered at this link. Q: How do i create the special type of graphic, a logo that has transparent areas that can be used as a watermark? A: That type of graphic is called a .png with transparency. If your graphic designer created it then ask for a high resolution PNG file from them. To do it yourself use Photoshop, GIMP (free on Mac and Win) or similar app then follow these steps. 1) create a layer and paste your graphic object. 4) save as PNG. A transparency cannot be created with .jpg it must be a .png with transparency file. The Preview app on Mac OS can also be used to make a .png with transparency. More here. For details search the web for a tutorial on creating a PNG graphic with transparent background. Q: How do I import a logo/graphic from a Mac, Win PC or the web onto my iPhone/iPad. Email (easiest) – email logo or graphic to yourself. Then go to that email on your mobile device and click and hold on the attached file to save it to your devices Camera Album. Next Create a Graphic Watermark. Apple’s Airdrop – if you are familiar with it Airdrop can be used to import logo/graphics onto an iPhone/iPad. Info on Airdrop on the Mac. Info on using Airdrop on iPhone/iPad. To share a png logo from Mac to iOS, hold the control key and tap the logo file and in the finder on the Mac and a dropdown menu appears. On this menu choose Share and in the next dropdown menu choose Airdrop. When Airdrop appears after a moment or two it should show your iOS device, click once on that and it will show progress of sending the file and a beep at the end. If no iOS device appears then make sure Airplay is turned on for your iOS device. Next Create a Graphic Watermark. From the iPhone/iPad or Mac you can Copy & Paste a graphic direct into the Graphic Watermark. Scan Signature Watermark – can be used to import a signature or scan in an image. It uses the camera to scan a logo on paper and produce a PNG file. Using the original artwork will be higher resolution. Go here to learn more. Q: Why do I see a white box around my companies logo? A: This means the logo you are trying to use is a jpg and not a transparent png. PNG’s can have transparency JPEG’s do not. IMPORTANT: Follow the steps above to import, then use a png format logo file. 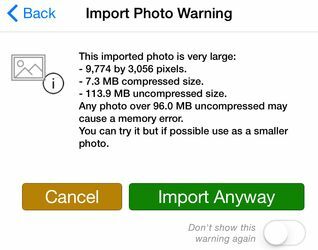 WARNING: If you put a .png in your Camera Album and ‘Optimize Photo Storage’ is checkmarked on that .png is changed to a .jpg and compressed. This can be confusing the .png you uploaded is changed to a .jpg without telling you. If you import you logo (changed to a .jpg) into iWatermark+ you will get the white box around the logo (because .jpg does not support transparency). PROBLEM: In iOS Settings Photo:iCloud. If the setting ‘Optimize iPhone Storage’ is checked that causes the problem. SOLUTION: Checkmark the ‘Download and Keep Originals” (see screenshot). That setting is better anyway because it keeps your original photo and it’s format. Thanks to Lori for discovering this. Also do not use iTunes to import logo/graphics. Do not open your logo in the photo picker. These both turn the png into a jpg which will show your logo in a white box. A: Details are in Create a Graphic Watermark above. A: Yes, iWatermark+ saves in the highest resolution to the photo album. It may show you a reduced resolution for your display to improve speed but the final output is equivalent to the input. You can also email watermarked photos straight from the app at your choice of resolutions including the highest resolution. It may be that if you are trying to email from the photo album itself and you are on 3g (not wifi) Apple is choosing to lower the resolution of photos. That has nothing to do with iWatermark. It does have something to do with choices by Apple, ATT and maximizing the 3G bandwidth. Q: Why is my logo pixilated, blurry and look low quality? A: If the resolution of the area of the photo covered is higher then the resolution of the watermark, then it will cause the watermark to look blurry or blocky. Always make sure to have your logo/bitmap graphic be equal or higher resolution than the area of the photo it covers. Your logo is a bitmap. What you put it on (your photo) and how much you scale it influences how it looks. If your logo is 50×50 and you put it on a 3000×2000 photo then the watermark is either going to be very small or look very pixelated. SOLUTION: Before import make sure your bitmap logo is a resolution appropriate for the size of photo you will be applying the watermark to. 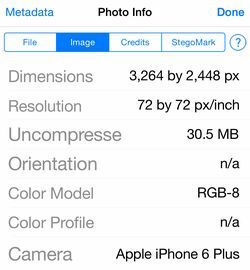 For photos taken with iPhone cicca 2016 or later, 2000 pixels or higher on either side is fine. But as photo sizes increase over time so will the need for bitmap graphic resolution for a watermark to increase. To sum it up iwatermark uses the api/tools supplied by Apple which are what Photoshop and other apps use. While resaving jpg’s changes photos the actual the visible difference is controlled by the jpg algorithm, not the apps, and is basically imperceptible. Q: Why doesn’t my photo and or watermark look highest resolution? A: We reduce the quality of the onscreen representation to save memory and cpu. It is hardly noticeable except maybe on retina screens. This does not affect the exported quality which will be exactly the same as the original. If you want there is a preference which you can turn on to show ‘Retina Preview Quality’. Q: Does watermarking reduce the resolution of the original photo? A: It doesn’t change the resolution at all. Q: Does iWatermark change the quality? A: As you know all apps duplicate the photo they are editing. Then when they resave it, it becomes a new file. Because jpg is a compression format, which means it’s algorithm works to reduce the size of the photo and keep the humanly visible quality the same. That means it will be slightly but not visibly different. Every time you save a photo there will be slightly different pixels. The pixels are not always identical but jpg does the best it can to make them look exactly the same. This is true of photoshop and every other photo editing app. Each of them use the very same tools to re-save jpg’s. 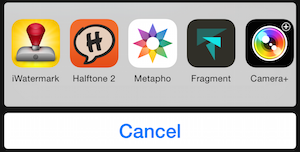 Our apps allow control over quality vs size the same way photoshop and a few other apps do. You can change that in the prefs but we don’t recommend it because it’s impossible to see any difference and harder still to tell which is better. You may want to google and read about ‘size vs quality’ if you are not familiar. Q: How do I move iWatermark+ and all its data (settings and watermarks) to a new iPhone or iPad? A: Apple controls this not us. Here is what they say. There are 2 parts to move the app and the data. Both need to be there to have all the previous settings. Here is another good explanation. Q: How do I keep my settings (all my watermarks) when I delete my App? A: This is a good explanation of that arcane knowledge. Q: I had a crash or freeze what do I do. A: Its rare but a crash could happen for the reasons below. Use the solution to each of the 5 problems to fix it. 1. Problem: Something is wrong with the phones OS. Solution: Restart the phone to restore to its default state. 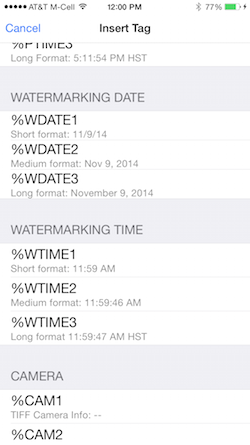 Also make sure you have the latest version of iWatermark+ and latest iOS. 2. Problem: The app is corrupt due to a bad download. Solution: Delete the app on your iPhone/iPad then redownload. Make sure you have at least a Gig of memory available on your device. 3. Problem: High resolution photos are using more memory than is available. S Solution: To test use regular iPhone/iPad photos first. SLR photos under 10 megs should work, SLR photos 10 megs or higher may not work. What iWatermark+ can do depends on both iOS software and iPhone/iPad hardware. 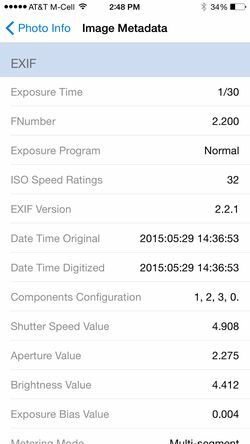 SLR photos may be pushing the limit depending on the photo size and your iOS hardware. iWatermark+ works on bigger photos then ever before but keep in mind the limitations of memory in your iOS devices, iPad Pro is different than iPhone 4s, etc. Experiment. 4. Problem: Not enough memory left on the device. Solution: Simply delete a podcast, video or other temporary content. Having a gig free is a good idea. 5. Problem: Watermarks are using too much memory. Solution: Turn all watermarks off. Then turn them back on one at a time. Use fewer watermarks and use watermarks that require less memory. The ‘Custom Filters’ and ‘Borders’ in that order are memory hogs, be careful using these. If you have tried all of the solutions above and can’t fix the problem then we want to know. Email us the details to reproduce it. If we can reproduce it then we can fix it. Q: I just bought the app, why does the ‘Created with iWatermark’ still appear on my exported photos? A: You are still opening and using iWatermark+ Free not the paid version of iWatermark+. Solution: Delete iWatermark+ Free which has Free in a green banner on the icon. Use the paid version instead. Q: What do I do if I have a sales question? A: We don’t control iOS app sales at all. Apple controls sales totally for iOS apps. Apple does not share the names/emails or any info on who buys the apps. We can not add or delete a duplicate order. For all sales questions please contact Apple. Q: How do I cancel a subscription to iWCloud? A: You can do this in your iTunes account anytime. Steps are here. 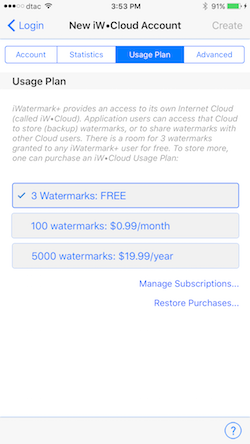 A: iWatermark+ is a universal app, it works great on iPad/iPhone, so, no need to pay twice. The same iWatermark works fine on iPhone and iPad. Legally you are the owner of both and you can have your software on both. Also Apple has a family program. This program allows you to buy an app once and everyone in the family lease gets to use the app on their iphone/ipad. Q: Don’t all app makers make millions of dollars? A: Pokemon and some games might make that but a utility for the minor niche of watermarking, unfortunately for us, does not. iWatermark+ is actually an remarkably complex and powerful piece of software. A decade ago no one would have believed it possible. Even now people don’t realize the amount of work in the programming, documentation, tech support, graphics, admin and constant updating involved and what an incredible deal buying iWatermark for a few dollars is. Apple has always seriously benefitted from 3rd party app developers making software for their hardware. In the app store Apple takes 30% of an apps total earnings. That means from the $3.99 of iWatermark Apple keeps $1.20. There are millions of app developers and Apple gets 30% of all sales which is one reason they are a billion dollar company. From one sale we get 2.79 to pay for hardware, programming, tech support, advertising, graphics, admin, etc., so, the answer is, we are not rich. If you like iWatermark+ and realize how unique and advanced it is compared to other watermarking apps and you want to see it get more powerful features, then please tell others about it. Thanks! Q: How come iWatermark+ is not #1 in the Apple App store when i search under watermark? Someone told me about your app but it took an hour to find it. A: That is a very good question. That has to do with SEO (search engine optimization) which are algorithms that control what comes up first when searching for a keyword or phrase on Google, Apple’s App store or in other search engines. Apple’s App store search does not put the best apps first but displays apps first that have a particular name, keywords, is by a famous company, etc. Unfortunately, those things don’t always translate into finding the best app for you. It often finds apps by established big companies and apps that game the SEO. To summarize search is a challenging and continuing problem for Apple. It forces developers to either spend more time gaming the SEO then to focus on making great apps. We prefer working on improving apps and adding useful features. Q: How do I use the fonts from the iPhone/iPad or Android version in the Mac or Win Version or even in another desktop app? 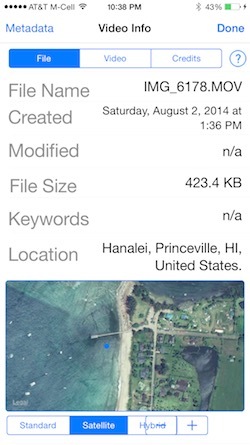 A: To get the fonts out of the iWatermark+ iPhone app you need to find where the iPhone app is stored on the Mac. Q: The font size setting only allows selecting font size from 12 to 255. Can we make it bigger? A: Typing a size into the field next to the slider can give a size from 6 to 512 pts. Whereas the slider only allows dragging between 12 to 255 pts. Q: How do I have different fonts and font sizes in one text watermark? A: It’s not possible in one text watermark. The solution is make two separate text watermarks. Q: I have my watermarked photo but accidentally deleted my original photo without the watermark. Can I remove the watermark from this photo? A: Not easily and not in iWatermark. Watermarking is designed to protect your photo and prevent others from removing the watermark as much as possible. It is purposely difficult and in some cases impossible to remove a watermark. One can try using a photo editor like Photoshop to do it. But that will be challenging and is not going to return the photo to the exact original. IMPORTANT: iWatermark always works on copies of the original and never on the original. Your originals are always safe unless you delete them. Don’t delete your originals and always back up your photos. If you delete your original photo it may still be found in iCloud, in Albums in the ‘Recently Deleted’ folder, the photo could also be on your Mac, Dropbox, Google Photos and/or other services you use to backup photos. IMPORTANT: Please read the next Q&A because it also contains info important to understanding this. Q: How many originals/copies of a photo are there with watermarking. 1. If you take a photo with Apples (or some other) camera app then that is the original, iWatermark+ then duplicates and watermarks that duplicate. 2. If you take a photo from within iWatermark+ that photo gets watermarked so there is only 1. 3. If you watermark using the iWatermark+ within Apple Photos as an Editing Extension then it’s different because the Apple Photos app does not duplicate the original, it edits in layers and you can revert those edits. iWatermarks watermarks are put on as a layer in the Apple Photos app. Choose ‘Edit’ and hit ‘Revert’ to remove a watermark put on within Apple’s Photos app. Q: I choose ‘Do not allow iWatermark+ access to photos’ by accident. How do I turn that on for iWatermark? A: Go to settings:privacy:photos, find iWatermark+ in the list of apps and turn on the ‘access to photos’ switch for iWatermark+. Q: Is there a size limitation on photos? A: Yes. Every year it gets a little bit larger. This makes it easier for developers like ourselves to support opening and manipulating larger images. It is quite amazing that a phone can open SLR photos but there are limits. Newer SLR’s create higher res photos each year and new iPhones can open higher res photos each year. It’s a race. A: To move the watermark just touch it with your finger and drag it wherever you want. You can also change the font size, scale (using pinch/zoom) and change the angle (two finger twist) directly by touch. When you rotate the angle with two fingers you will notice that the watermark locks in at the cardinal points 0, 90, 180, 270 degrees. The watermark location can also be changed from the item called ‘Position’ located at the bottom of the settings in most watermarks. A: Yes, any watermarked photo you save to the Photo Album or send via email has all the original EXIF info including GPS info. If you want GPS always removed then there is a setting for that in the preferences. You can view EXIF and other here. Q: I speak Dutch but the app is showing to me in Swedish, how do I fix this? A: This can happen in rare cases, it has to do with iOS. You can set a primary and secondary language in the system prefs. since there is no other localized languages yet for iWatermark+ only English the app is trying to go to the secondary language and at some points you must have that set to Swedish. Close the app, go to the system prefs and reset to just Dutch, restart. Now the system will just open in English. A: In the Watermarks page touch the watermark and drag left, this will show a red delete button on the right side, touch that to delete that watermark. Or go to organize at the top left of the page where you can also delete watermarks or drag them around to change their order. A: Download the Flickr app from the app store. It’s free and it has an iOS sharing extension built in. That means when you export from in iWatermark+ it can go straight to “Flickr. 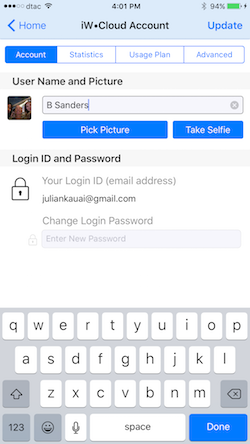 Just remember to fill in your user info in General:Settings:Flickr on your iOS device for first time set up for logging in. Q: I noticed after transferring video to my Mac that the video was compressed? iWatermarks present limits are any photo over 100 MB uncompressed may cause a memory error. The uncompressed size is different then the file size. You may be able to open a file like the pano in the screenshot below but to watermark it takes at least twice as much memory. This number we are sure will continue to get better every year. Having said all that, feel free to try if you get the warning below, it won’t hurt anything and we’ve found it quite often works and depends on the device you have. We promise as more is possible in the hardware of iPhones and iPads we will expand what is then possible in software. A: Excellent question! Because most of those services remove the invisible metadata in your photo, so there is nothing tying that photo to you unless you put a visible watermark on it. Anyone can drag your Facebook picture to their desktop and use or share to others with no connection between you and your photo and no info in the file that says you created or own it. A watermark makes sure that everyone is clear on the fact that the photo is your IP (intellectual property). A photo you take could go viral. Be prepared. The owner of a watermarked photo is much more likely to be acknowledged, credited and perhaps even paid. 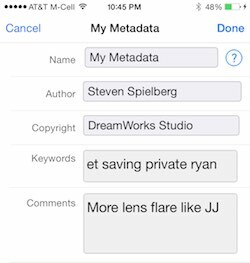 To see what metadata is removed by Facebook, Twitter, Instagram, Google+ etc look here. Q: Do any of these watermarks prevent people from stealing the art I post online and using it for their own purposes? A: A watermark warns most people off and by it’s presence, lets people know the owner cares about their intellectual property. A watermark does not stop people who are determined. Along with the Copyright Act, a watermark definitely helps defend your photo. We are not lawyers and we are not offering advice. Below is our take on this. Consult your lawyer for legal details. It’s important to understand the US Copyright Act for photos. The law says the photographer owns the copyright on each photo they take. An exception is when the image falls into the “work-made-for-hire” category. Your signature or another visible watermark with your logo may increase the damages. From what i have seen of the law online, an image with watermark may increase the damages up to $150,000 instead of just $30,000. It does make sense to put an visible watermark on a photo to: 1) let people know it is your intellectual property and 2) increase the damages if they they are caught willfully disregarding or removing your watermark and using your photo. If the photographer did not register the image before the infringement started, the photographer can seek “actual damages.” If the photographer registered before the infringement started, the photographer can seek either actual damages or statutory damages. Watermarks only matter when it comes to statutory damages, and then only when it comes to proving willfulness. The watermark itself does not increase available damages. Photographers who do not register their copyrights before infringements start will have little legal benefit from using watermarks. If the photographer registered the photograph before the infringement started, then the watermark might benefit the photographer. Or not. (1) A watermark can block a claim of “innocent infringement.” If a watermark is legible and includes a valid copyright notice, then the infringer is barred by law from claiming “innocent infringement” in an effort to reduce statutory damages to as low as $200. A “valid” copyright notice has 3 elements: (a) name of copyright owner, (b) copyright symbol, and (3) year of first publication of the image. If any one of these 3 elements is missing (missing year, missing name, missing copyright symbol) the copyright notice is invalid and can’t be used to prevent the infringer from claiming innocent infringement. The copyright owner can replace the circle c with the word “copyright” or the abbreviation “Copyr” but neither of these words are recognized by law in other countries. None of the above applies to a situation in which the photographer failed to register the photograph before the infringement started. (2) The act of removing a watermark can indicate willfulness. Statutory damages (available only if the photographer registered the photograph before the infringement started) are between $750 and $30,000 per image infringed. This means that the court has the discretion to award as little as $750 or as much as $30,000. If the photographer is able to prove to the court that the registration was “willful” then the range of damages increases to $30,000 to $150,000. Courts rarely award the maximum. It is quite difficult to prove the infringement was willful. Willful means that the infringer knew that the usage was illegal, and then proceeded to intentionally infringe. It is a mindset. If the infringer removed or altered a visible or steganographic watermark, this can possibly indicate willfulness, unless the watermark was accidentally cropped, or if it was cropped without the intent to conceal the infringement. Again, if the photographer failed to register the image before the infringement started, willfulness is not considered by the court, and the presence/removal of the watermark has little if any bearing. 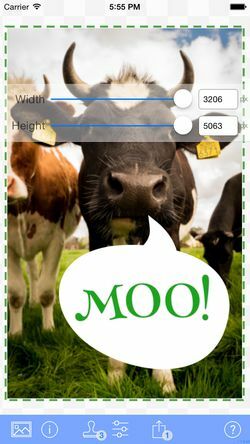 We make other apps like SpeechMaker which is a fun, educational and practical app for children thru adults to help keep stage fright at bay. It is a mobile podium and teleprompter and helps anyone organize and give better speeches, learn lyrics, enjoy rap, quote poetry, understand grammar and appreciate history. Do you or your company want a custom app? Contact us to discuss your ideas. *English is the default language for app. Simplified Chinese (China) coming next. -[fixed] '‘Created with iWatermark’ which is only meant to display on photos in the Free version appeared in the paid version by accident. Fixed. Thanks to Tanya who wrote and very nicely let us know about our blunder (our word not hers). Big thanks to others who emailed over the weekend. Apologies to everyone as startled as we were by this. Because iWatermark+ and iWatermark+ Free both use the same codebase, one minute change caused that confusion. Now Fixed! *English is the default language for app. - [new] Users can share Watermarked images / photos on WhatsApp. - [modified] ArcText Watermark improvements. - [fixed] ArcText Watermark Issues Fixed. - [fixed] Help / Customer Support Connecting Issue Fixed. - [fixed] Users can share Watermarked images / photos on their Facebook Status / Timeline. - [modified] Drag, zoom and rotate a Watermark by tapping it as well as from anywhere in the screen. Big thanks to the users who emailed with suggestions and bugs. Your contributions helped! - Emboss, Engrave Effects for Text watermark and ArcText watermark types. 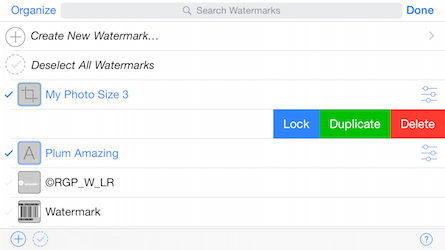 - Lock, Duplicate, and Delete any watermark(s) right in the Watermark Manger. See the manual for details on how these work. - Improved saving watermarked photos/videos to folders. - Many other improvements to ui and misc items. - Google Drive integration, now user can import photo directly from Google Drive into iWatermark+ to directly watermark photos. - Import single or multiple photos from Dropbox. Use hardware/OS back key to go back in folder hierarchy. - Greater stability in low memory situations. - Multiple watermarks can now be applied to any video like you already could do to photos. Video watermarking feature added. Yay! Now, iWatermark+ watermarks stills and video files. 1- Landscape mode now supported. Switch between Portrait and Landscape orientation anywhere in app. 1- Landscape mode is supported and now user can switch between Portrait and Landscape mode on any screen in app. 2- Inserted Tag for date is formatted according to locale set by user on the device for all watermark creation activities that contain Insert Tag option. 3- Improvement in app stability. - Major new feature. Insert Tag functionality is provided for Text Watermark, ArcText Watermark, QRCode Watermark, Metadata Watermark and StegoMark Watermark types. This means that in the text of the above watermark types you can put a 'tag' which represents info put into the photo by the camera like, shutter speed, camera name, GPS, aperture, time, and dozens of others. This tag is like a variable for that info which is then visible on the watermarked photo. Try it! - Angle of watermarks of different types can be adjusted by providing angle value in textbox in addition to slider. - On all sliders in all visible watermark types, watermark preview is shown on just tapping slider. - A bug is removed where single character text watermark was trimming vertically. - Improved support for watermarking larger images. - Tapping on watermarks listing icon now opens watermarks listing screen immediately rather showing a loading screen. - Eliminated the restriction of opening listing watermark screen first before opening the screen to edit watermark on double tapping on a watermark on main screen. Tutorial on using iWatermark+ with Lightroom by Terry White, Principal Worldwide Design & Photography Evangelist for Adobe Systems, Inc.
“iWatermark+ is by far the best watermarking App I’ve seen to date on iOS. Nicely integrated as an iOS photo editing extension.” and “Number 5 of the Top 100 Apps of the year.” – Terry White, Principal Worldwide Design & Photography Evangelist for Adobe Systems, Inc.
First I tested the free version … and was happy. So I bought the photo-version (cheaper) … and was disapointed … I got my money back and bought this version … for videos. This is at the end what I tested at the beginning. Why is it important to buy this version? You can make invisible watermarks …!!! which dont destroy your photos.